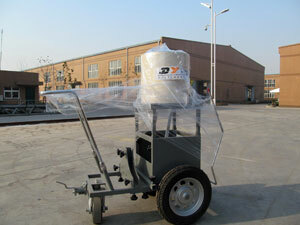 Hand-push Pre-marker, Road Marking Line Pre-marker, Road Pre-marking Machine for Sale. DAYU brand hand-push pre-marker can mark the pre-marking freely according to the requirements of construction and can accomplish 1-4 lines independently, which greatly improves the construction efficiency. 1. 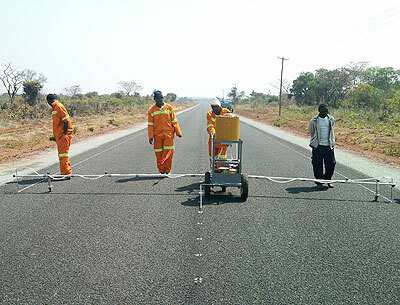 Equipped with two working arms with road wheels, the pre-marking width can be freely adjusted; It can mark 1~4 pre-markings according to the construction requirements. 2. A firm welded frame; chrome-plated or corrosion resistant coating sprayed surface; high-speed bearing ensures the whole machine light and convenient to move. 3. The left and right wheels are gas-filled pressure resistant vacuum wheels, the directional wheel is special, natural modified, abrasion-resistant rubber wheels. 4. 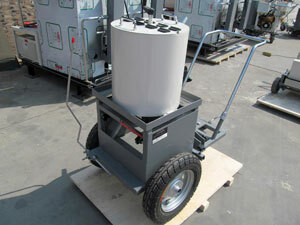 The single wheel lockable directional device ensures road marking machine operate in straight line or turn freely. 5. Personalized design conforming to the requirements of the human body mechanics; the height of handle bar can be freely adjusted according to the operator's needs. 6. Guide rod can be freely adjusted to up, down, left or right.